Once known as the fastest mid-sized jet in the world, the Cessna Citation X is only less in terms of speed compared to its successor, the Citation X+. 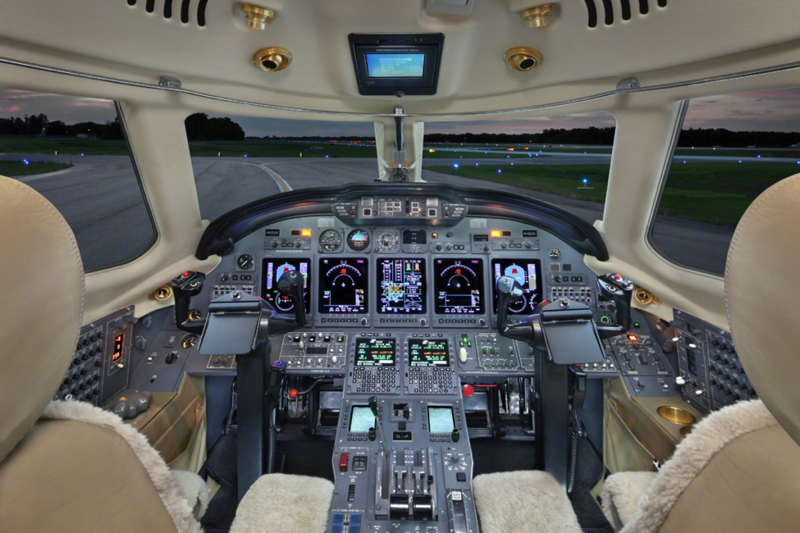 Introduced in 1996, the Citation X was and still is a leader in speed, power, and value. Low drag, terrific wings, and powerful engines provide this jet with unsurpassed speed from city to city. Cruising at a comfortable .90 Mach, the strong aerodynamic structure of this jet is proved to be unparalleled by competitors. Delivering fierce performance and style, the Citation X is a favorite among passengers and pilots. 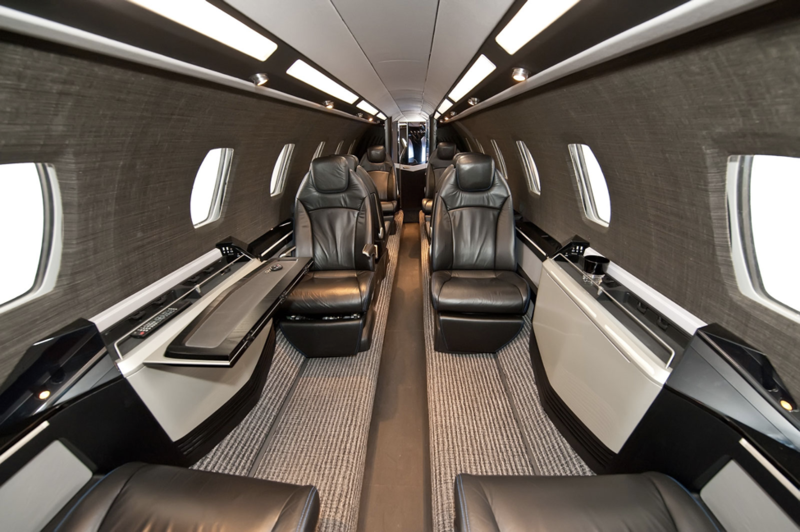 This jet has a 3,000 plus mile range, exceptional runway performance, and an 82 cubic foot baggage compartment that is pressurized and heated. Combining its exceptional performance and sleek style, the Citation X is one of the best jets money can buy. The sleek exterior continues into the cabin, where two back to back double club sections seat eight passengers. The executive style seats recline, and offer elegant quality and comfort. Tables swiftly pull out of side compartments as an added convenience, providing more space for passengers. Display monitors are located at each seat for entertainment or work purposes as well. 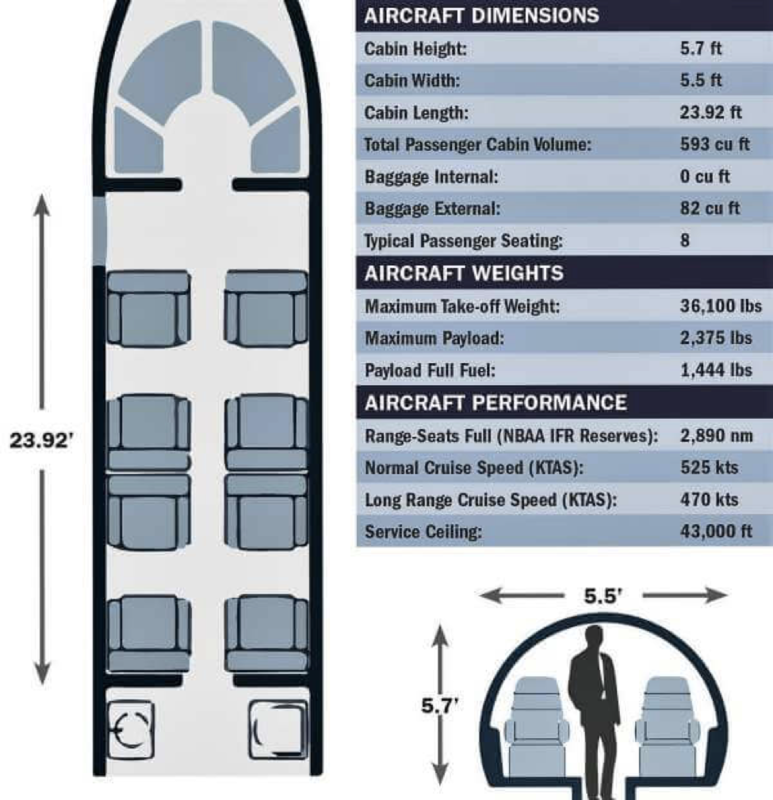 Additionally, the Citation X has a fully equipped galley, a large bathroom, and a closet for extra storage space. An easy to read Honeywell Primus 2000 autopilot and flight director system is displayed across five 7×8 inch screens within the flight deck. An Enhanced Vision System is available as an option for pilots as well, which helps to increase visuals for flight crews during low visibility conditions, such as rain, snow, or fog. Equipped with long range, top speed, and ultimate elegance, the Cessna Citation X has been a favorite in the private jet community since its debut on the market in 1996. For those who want to fly in style without compromising speed or reliability, the Citation X is certainly the jet for you.